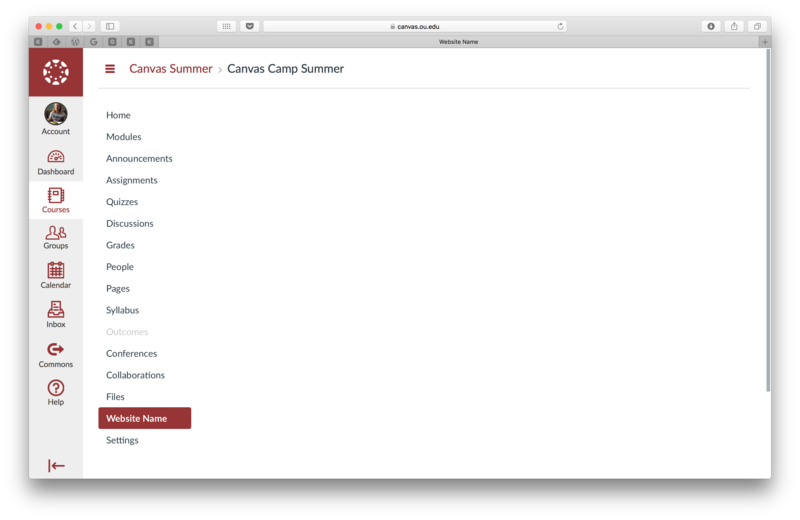 View from Canvas of an integrated website. 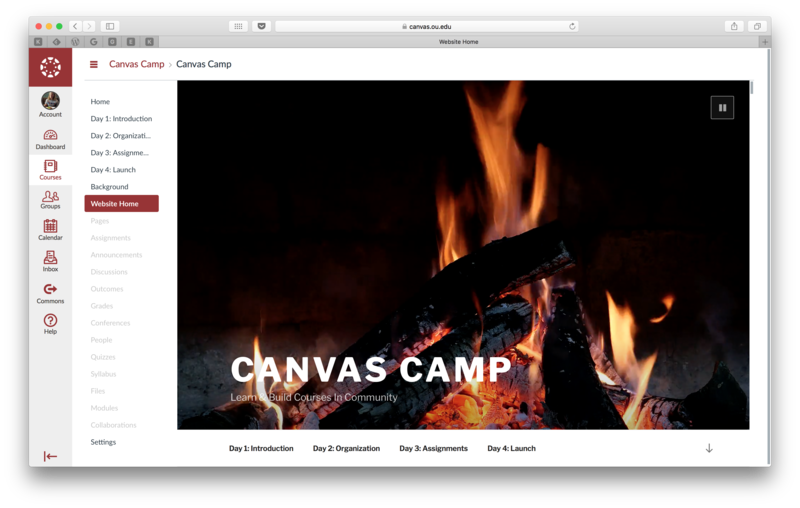 View from Canvas App of the same integrated website. 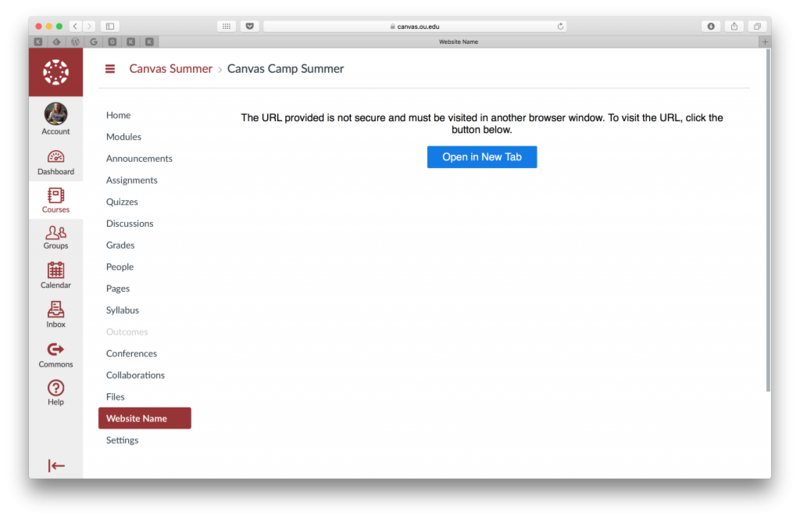 Your website will only be displayed within Canvas if the site is encrypted. In other words, your site needs to function using a https:// address (instead of http://). There are many ways to obtain an encryption certificate. I use Let's Encrypt SSL which is offered for free by several web hosting companies (including Reclaim Hosting). 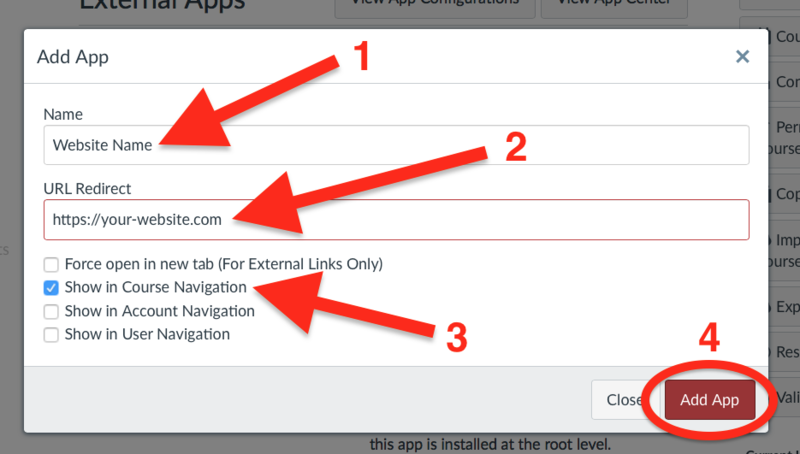 Alternatively, you can use a service like Cloudflare to acquire a SSL certificate for your website. Please note that many website companies like WordPress.com furnish https:// versions of websites to their users by default. In such case, you don't need to acquire a SSL certificate for your website as it's already present. 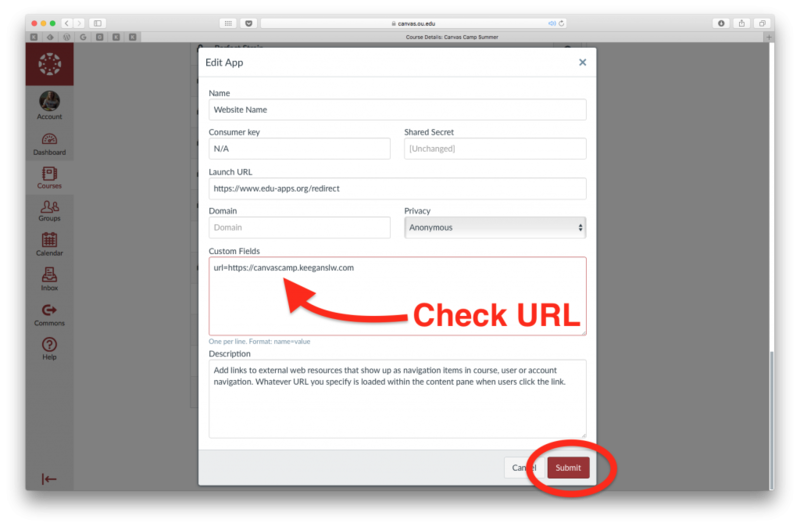 If you're unsure about whether your site meets this requirement, try visiting your website with https:// at the front of the URL (like so: https://example.com) and see if it loads normally. 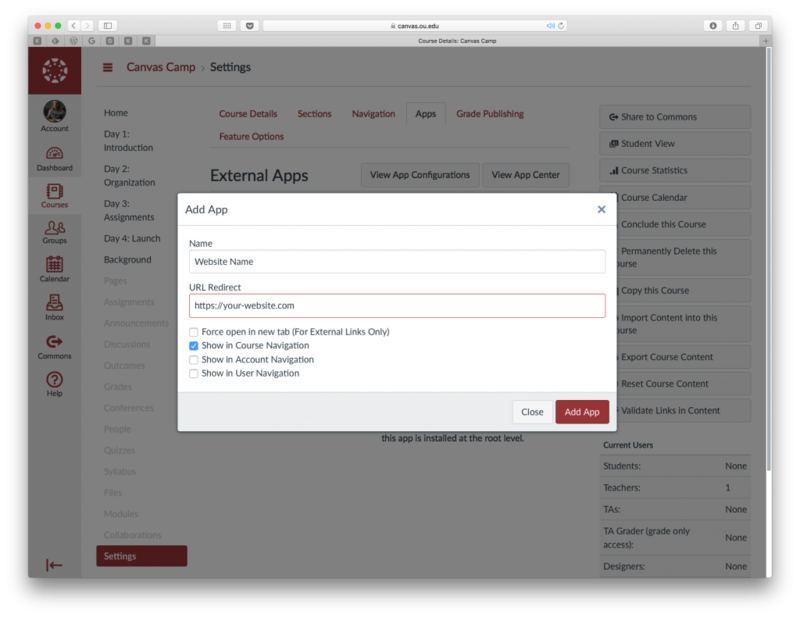 Use your institutions page to login to Canvas and create a new course or use an existing one. 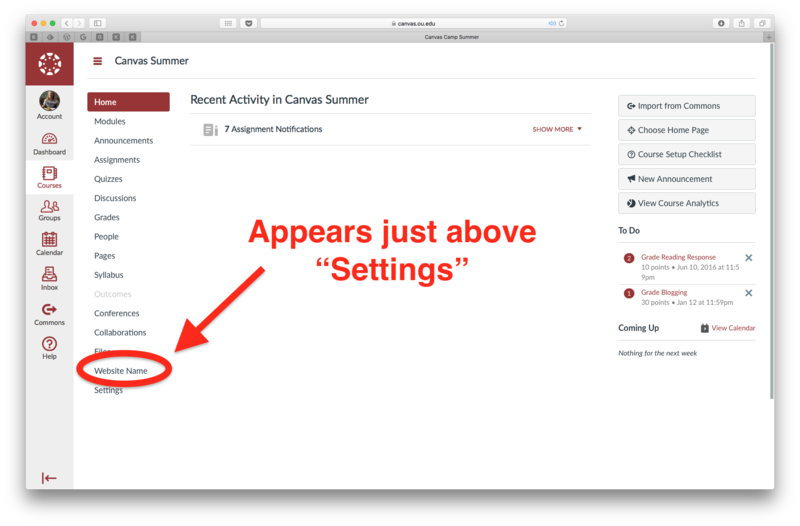 If you do not currently have access to Canvas, you can acquire a free account by selecting "Build It" on this page. 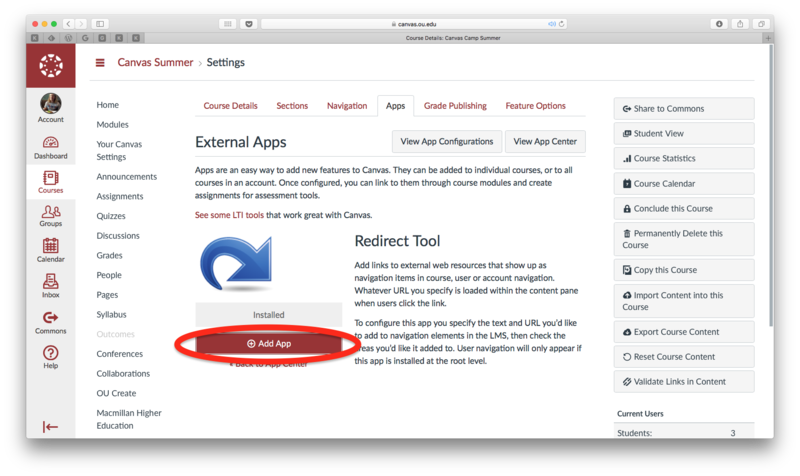 In your Canvas course, under "Settings>Apps" is the Redirect Tool (the best app! )—make sure it is available for your course. Refer to the screenshot below, under Step 1, as a guide. 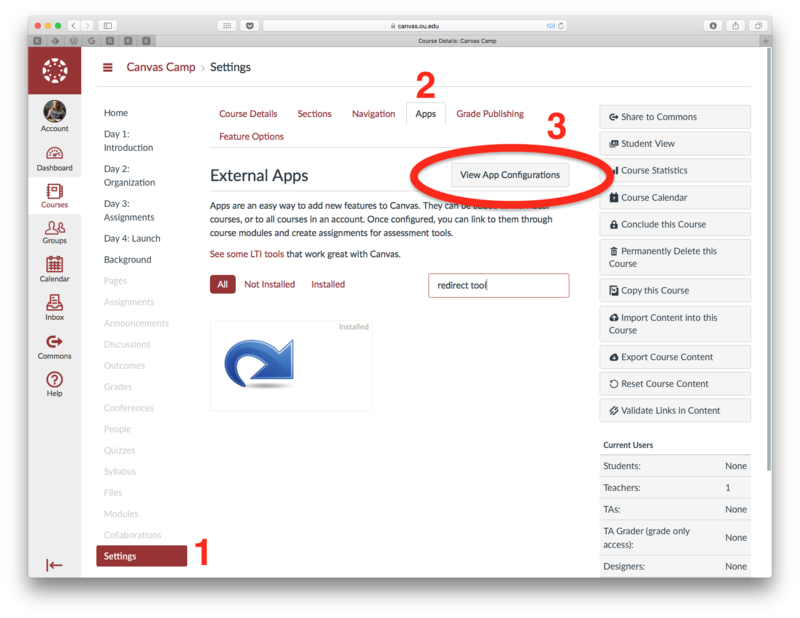 Step 3 - Configure the Redirect Tool with your Website Name (will appear in Course Navigation), the https:// URL, and check "Show in Course Navigation:"
In this case, the website you're integrating into Canvas will have to be loaded in a new tab when students are viewing the content. If you have an https:// URL version of your website and you don't see it appear in Canvas, follow the steps outlined in "Problem 1" above to confirm you entered the https:// URL properly. I recently submitted proposals that included this website integration to the #Domains17 conference. As I shared then, I believe the best examples of this integration involve a course blog or research/course website. 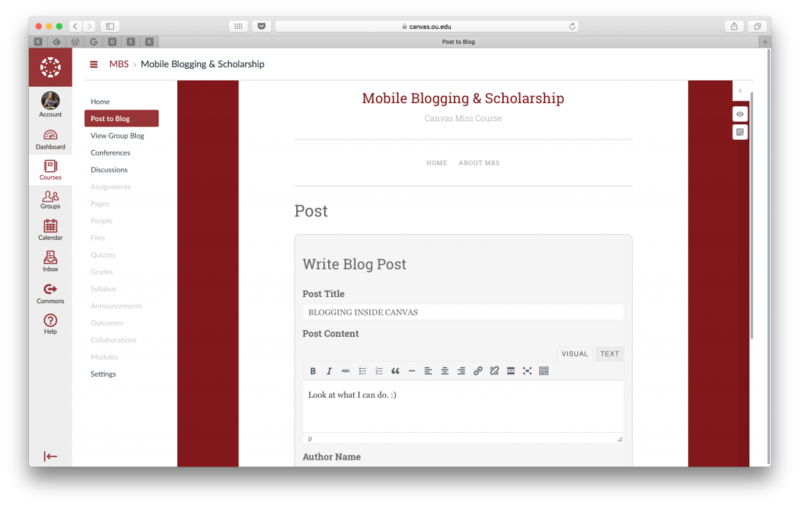 The course blog in Canvas is a fantastic use case of the Redirect tool combined with the FeedWordPress plugin to bring all of the students' posts from their own websites into Canvas. 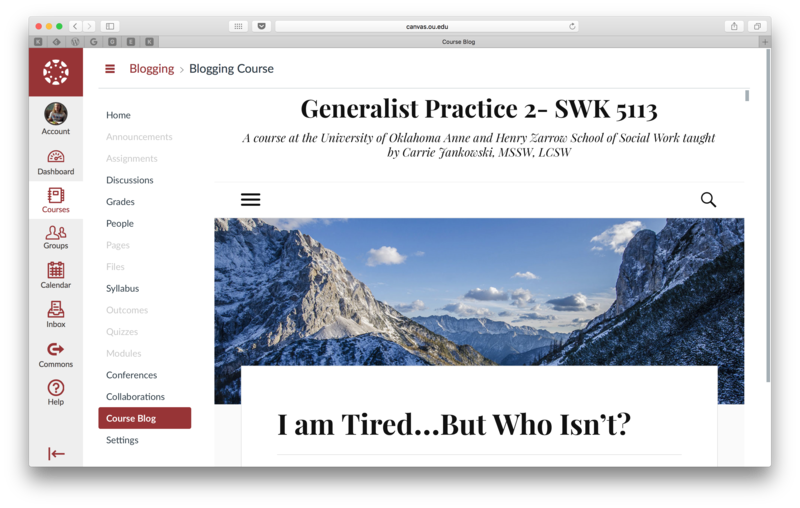 This setup is inline with the POSSE publishing model and can be utilized to bring students' course reflections into Canvas for easier access and to promote peer-peer scholarship. 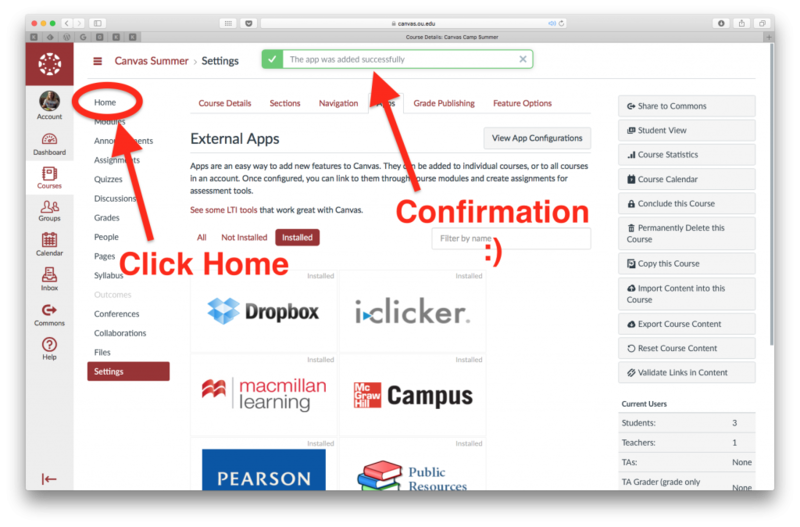 If you have course contents published on websites outside Canvas, you can use this trick to bring those materials into your courses. 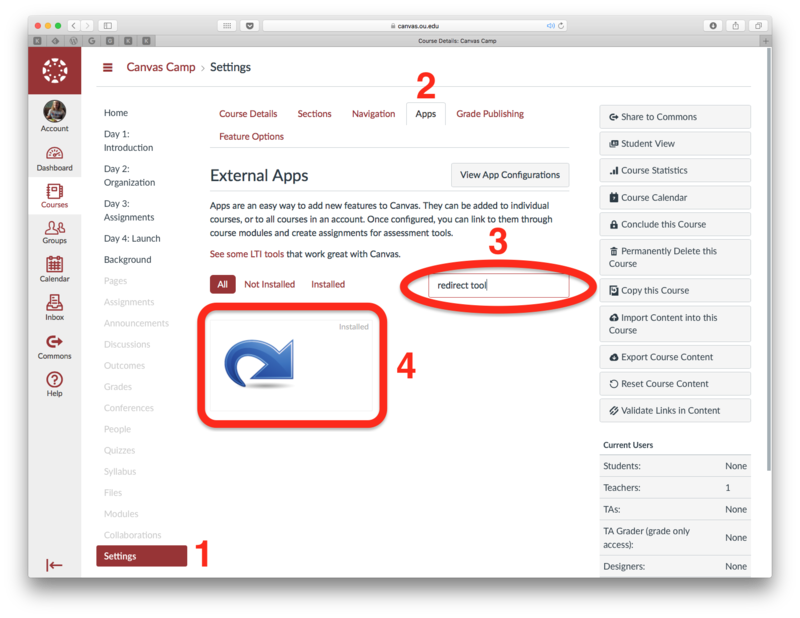 I've used this to bring my Canvas Camp curriculum into Canvas courses, but you could use it for course wikis, Drupal or Omeka research websites, and beyond. 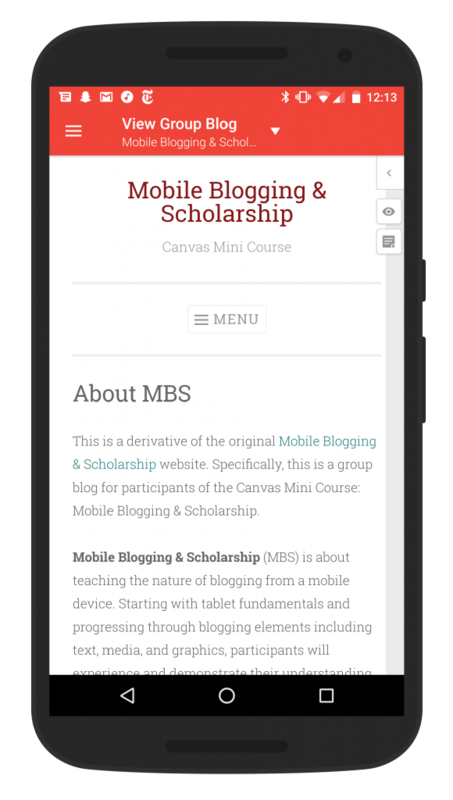 When I ran the Mobile Blogging and Scholarship Canvas training back in May 2016, I used all of these tool in addition to the AccessPress Anonymous Post plugin to allow instructors to blog directly within Canvas. Here's some more information of the tools I used to accomplish this course design. There are many more use cases beyond what I've presented here, but I hope this post gives you the guidance and inspiration to integrate websites directly into Canvas. This post was originally published on Keegan's blog under a Creative Commons Attribution-NonCommercial-ShareAlike 4.0 International License. Keegan Long-Wheeler Thank Youfor such a well done guide! I've been doing this for a long time with all sorts of URL's. 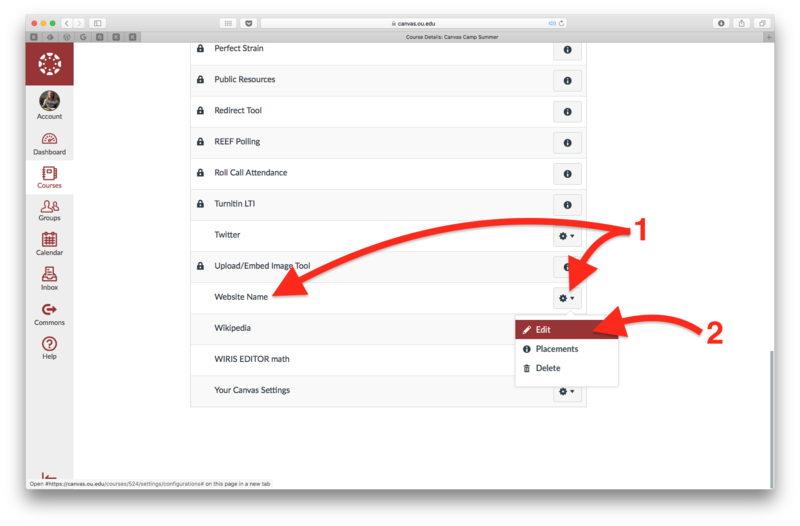 The redirect tool is definitely the Swiss army knife of Canvas! I was very recently playing with microsoft sway and I thought the PDF version of this blog post would be a great thing to try out in Sway. I thought you might like to check it out. 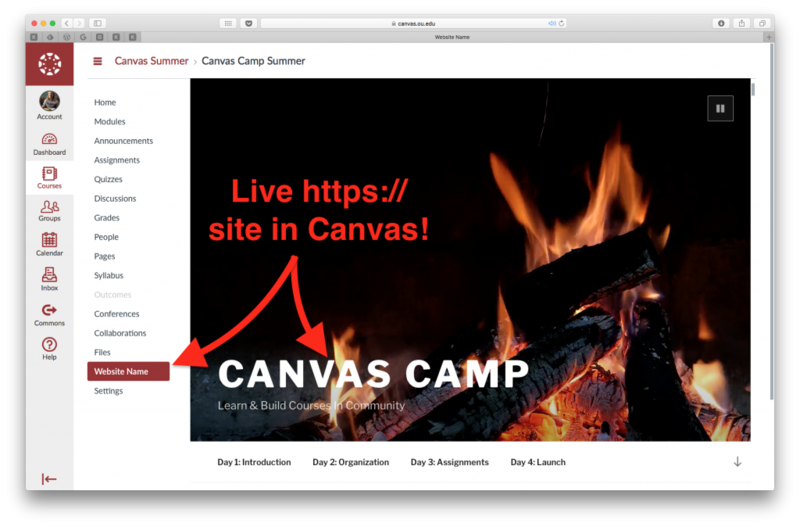 While this guide can't be embedded into Canvas, the sway can via an iframe on a page! PS. Laura, I did every bit of this on a Chromebook Jive, PDF, Sway, Canvas, Screencastify, and then to close the loop, back to Jive. This is great, Adam Williams: I was just coming here to make a link to your other post but you beat me to it. And YES also to the superpower of being able to do it all on a Chromebook. Love seeing the two different mediums for the same content. 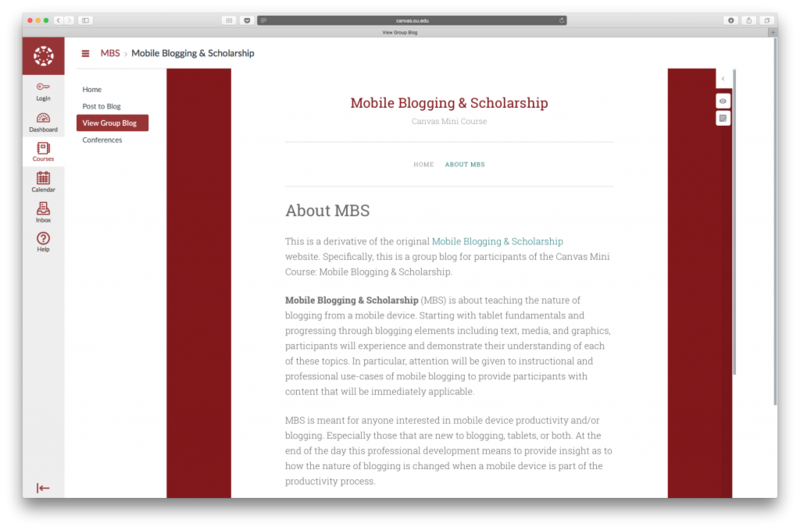 Really helps me compare between Blog and Sway as communication tools. Thanks for that Adam Williams. Re: WordPress to Canvas Import?? ?